This simple recipe with potatoes can make your kids happy. They will love the cheesy and peppery punch of this potato snack which is mixed in with the rich buttery flavor. Yes, you can alternatively use olive oil instead of butter. 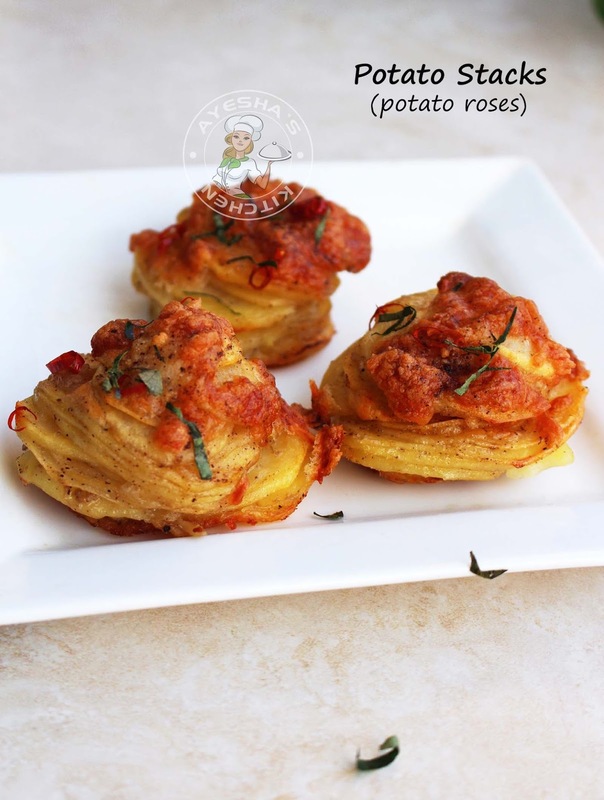 Potatoes are a great choice if you have to whip up a multiple course meal in limited time. You know, potatoes are a great stuff which is good for kids. Vitamin C in potatoes is very essential for a healthy skin, bones, and hair. 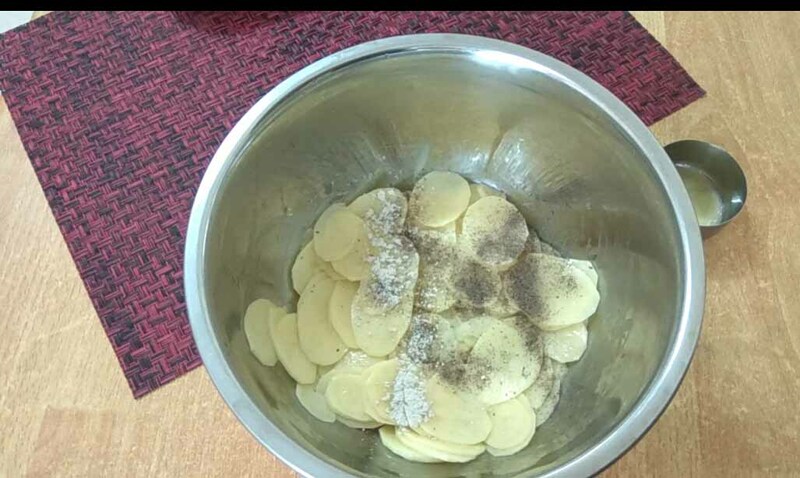 Potato also has the quality of feeling full for longer which is essential for school going kids. This snack is equally liked by kids and adults for sure. The buttery goodness makes the kids want for more. This spicy snack can impress guests quickly. 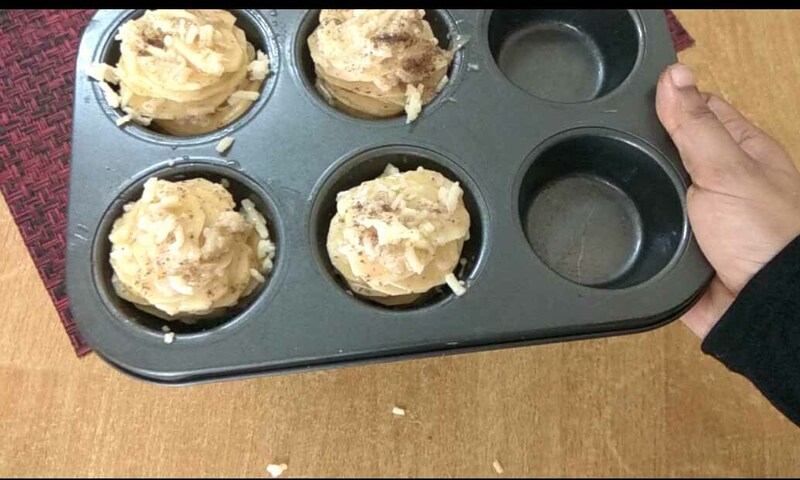 They look like golden roses when baked, is it? For an extra garnishing, I sprinkle some red chili flakes and cilantro slices. The ingredients required for making this lovely potato snack is easily available also. 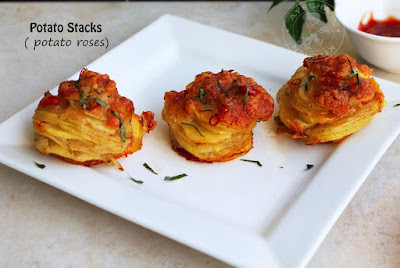 So all you have to do is to stack the spiced thin potato slices one over the other and finally bake them until crisp. Baking time depends on how crispy and golden you want it to be. So bake until u reach the required texture u like. Here is the recipe showing how to make potato stacks/muffin tin potatoes/ potato varieties/cheese potato recipe/sliced potato recipe/potato cups in muffin tins/stacking cups/potato slices. 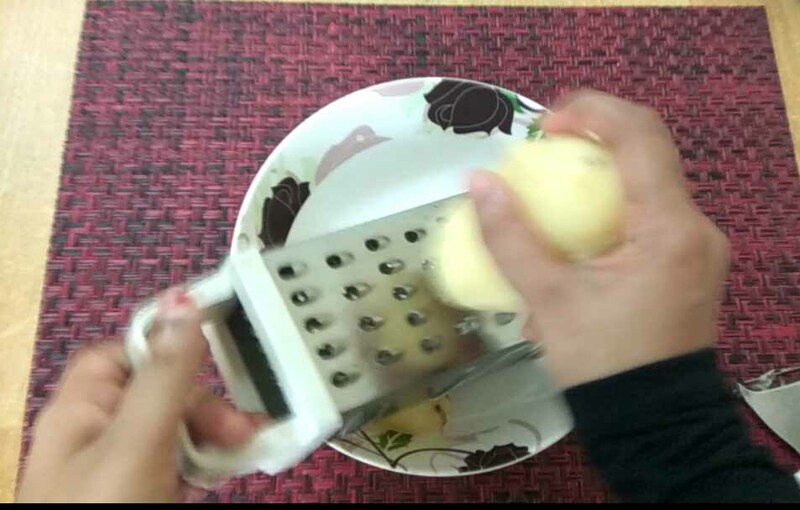 Peel the potatoes. Slice them very thinly. 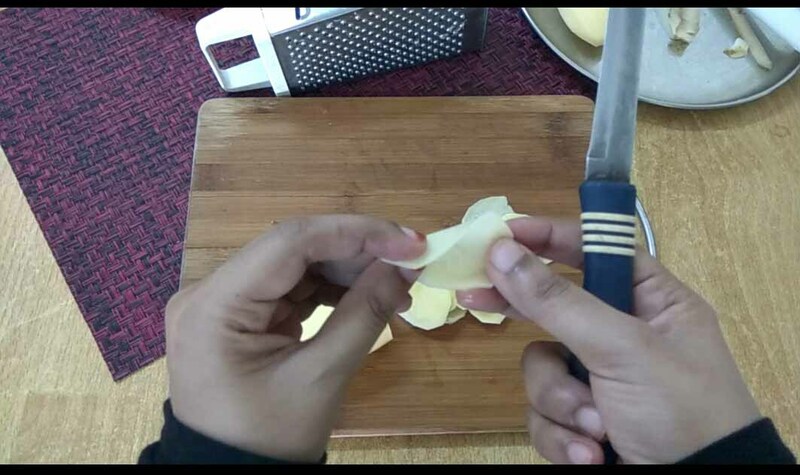 Either you can use a mandoline slicer or you can slice them using a sharp knife. 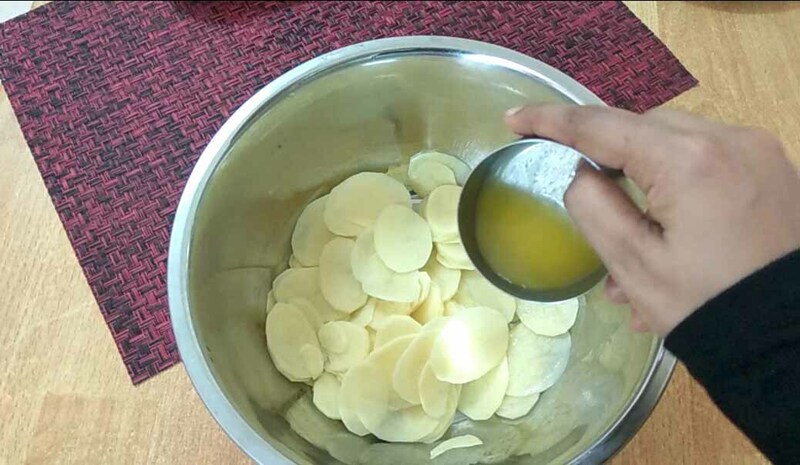 Place these potato slices in a bowl. Add melted butter. Combine well. Grease a muffin tray with oil or melted butter (i used a silicone brush for greasing ). Now assemble the potato stacks. 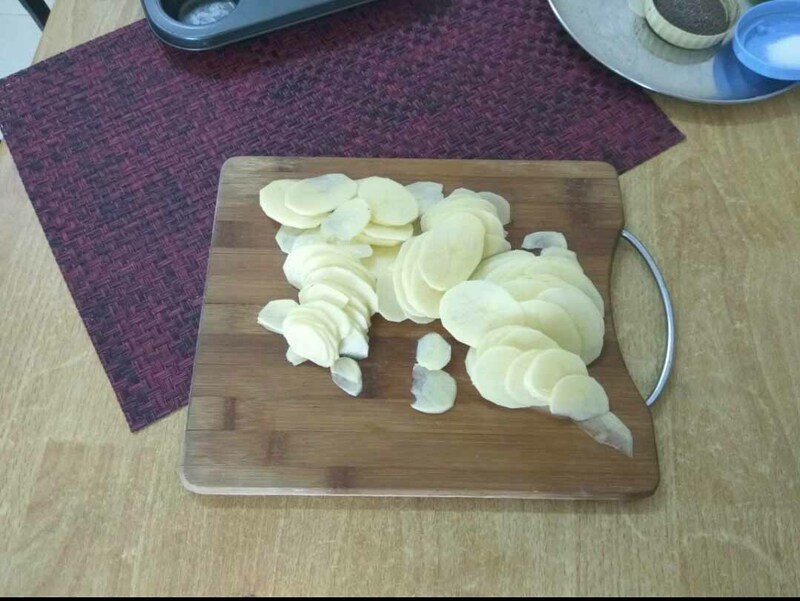 For this layer the potato slices one over the other. 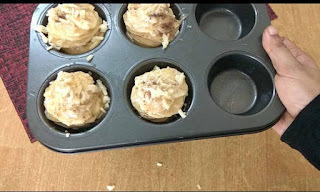 Continue stacking several potato layers until the muffin cups are filled to the top. 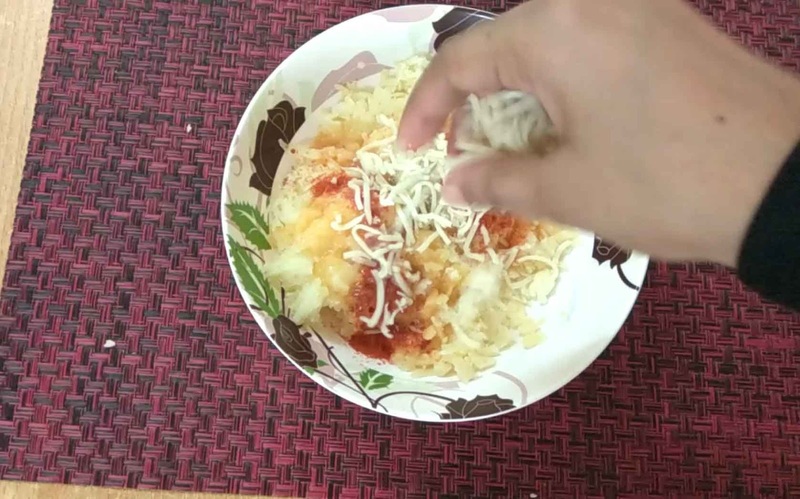 Sprinkle some shredded cheese and pepper powder over it. Drizzle some melted butter (optional, if you are craving for a buttery flavor). 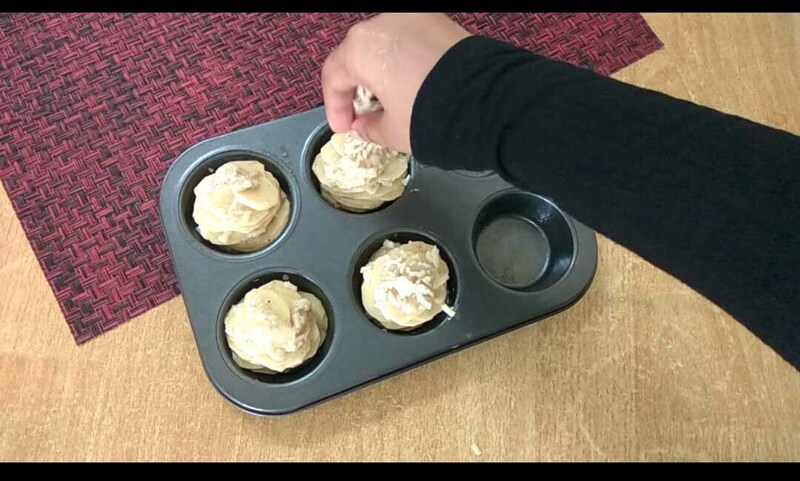 Bake it in the middle rack of the preheated oven for 35 to 45 minutes at 180 degree C. Baking time depends on how crispy and golden you want it to be. 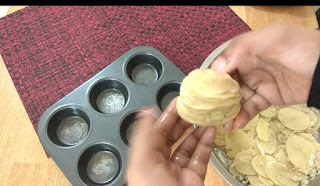 So bake until u reach the required texture u like. Release the potato stacks from muffin tray using a knife. I think there is no need for a special introduction to the Chettinad cuisine. Chettinad cuisine is very popular for its aromatic flavor and the spiciness. The use of a variety of spices makes their dishes more aromatic and special from any other cuisine. Freshly grounded spices give the fabulous flavor and texture to any dish for sure. I have shared a Chettinad chicken roast recipe in my blog a few months back with freshly ground spices. Sometimes I cant ever bear the spiciness of some Chettinad dishes especially fish curry and chicken curry as they combine ground paste of green chilies, dried red chilies and peppercorns that makes the dish more spicy hot and very tasty too. I love those aromatic curry recipes and so I prefer adding less quantity of chilies and peppercorns in any of the same. So add those spices as per your heat preference. Let's move on to the recipe for a fish fry today. 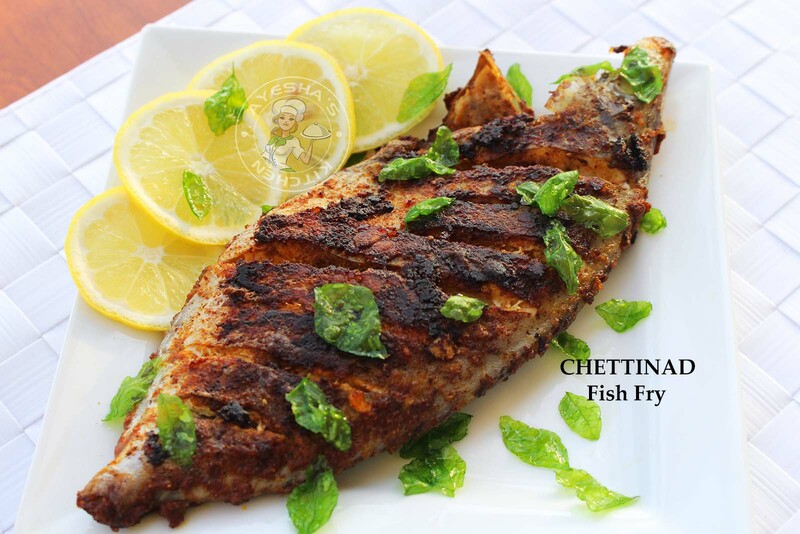 A Chettinad fish fry recipe. 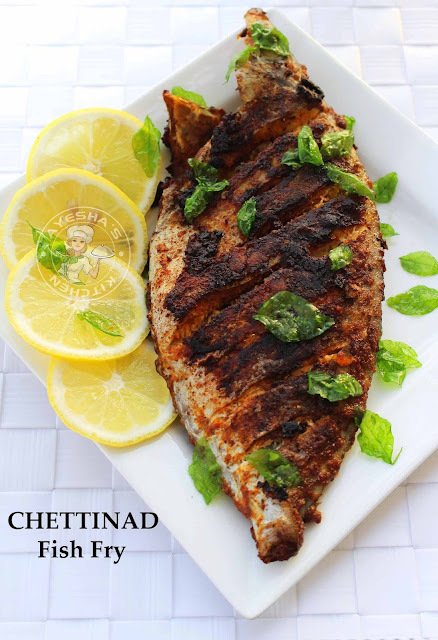 Spicy aromatic fish recipe from south India or Chettinad cuisine. 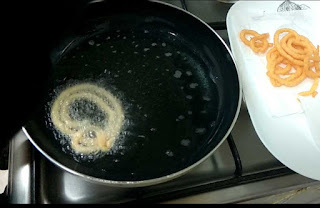 Hope you all will try this fried fish recipe for sure. Clean the fish and make slits with a sharp knife. You can cut the fish into equal medium sized pieces also. I used whole fish for this recipe. 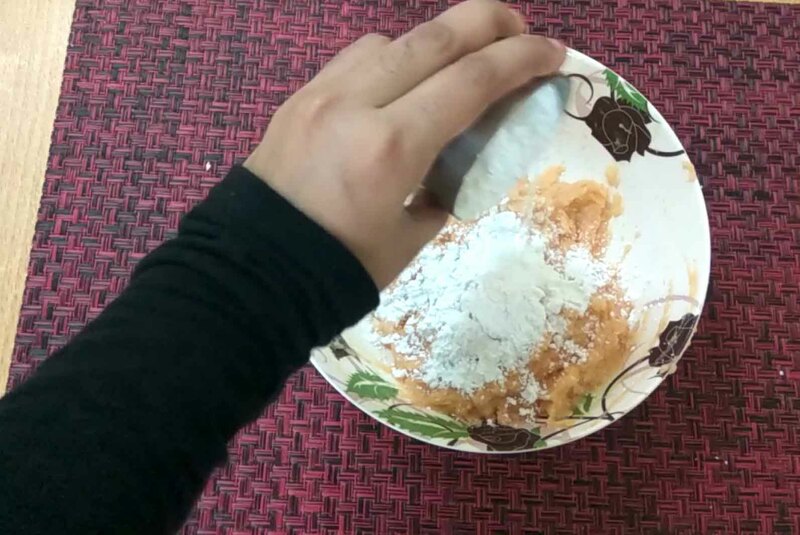 When done, powder it in a grinder. 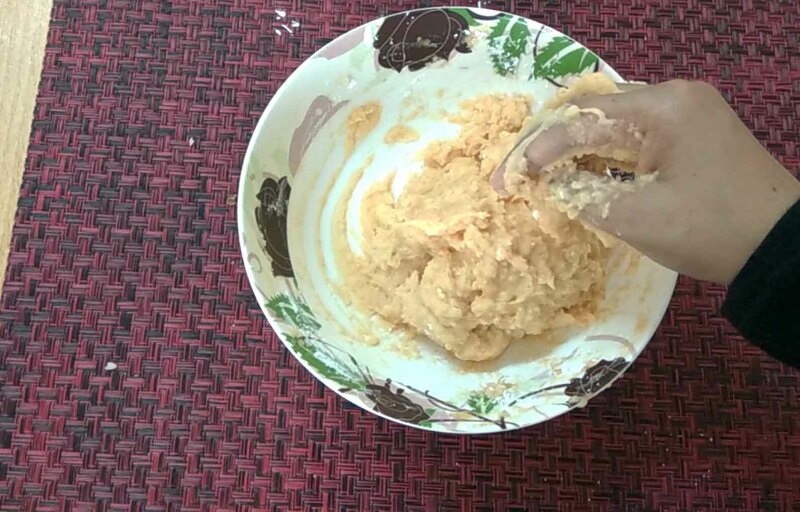 To this add tomato, lemon juice, chili powder, turmeric powder, tamarind extract, salt and coconut oil. Grind again to make a fine paste. 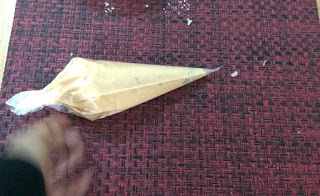 Check for salt and marinate the fish with this fish marinade. Keep this marinated fish in the fridge for 30 minutes. Heat oil in a non-stick pan for shallow frying. Once hot, add the curry leaves and fry it. Transfer it to a bowl for garnishing later. Then place the marinated fish and fry until both sides turn golden. Flip the fish when one side is done. As I told you earlier, an oven is not at all required to bake cakes. 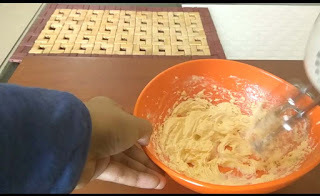 Again am back with yet another stovetop cake recipe. How about a mango flavored cupcake or muffin for today? 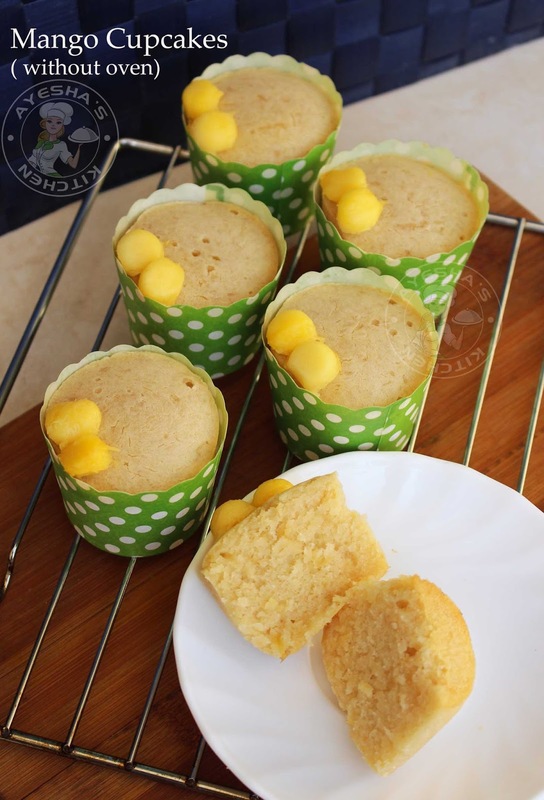 These cupcakes are rich, buttery and super moist with a bursting mango flavor. 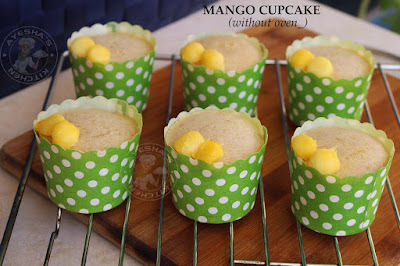 The pleasant smell of fresh mangoes filled in my kitchen while baking this cupcake was just amazing. This recipe for cupcakes calls for simple ingredients. 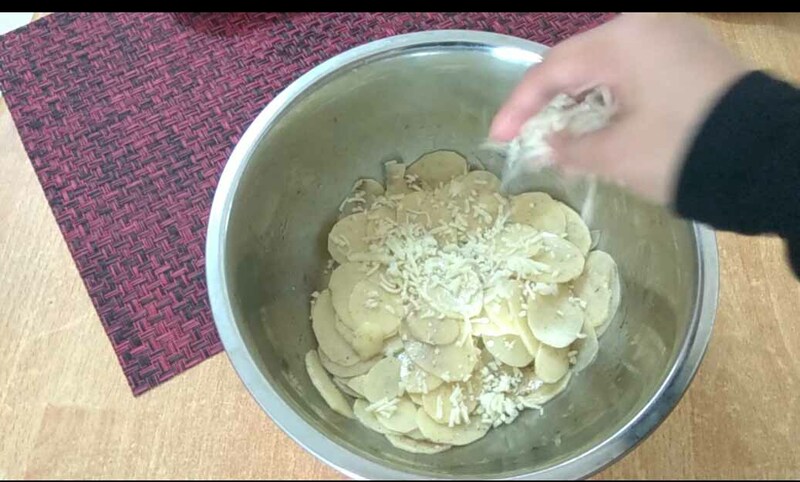 And it is baked on the stove top without an oven which is really easy. 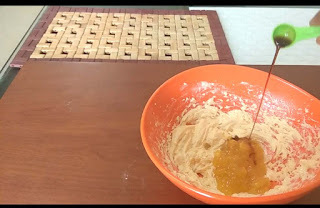 I have shared many cake recipes without oven on my blog. Mango is the iconic fruit in many global cuisines. 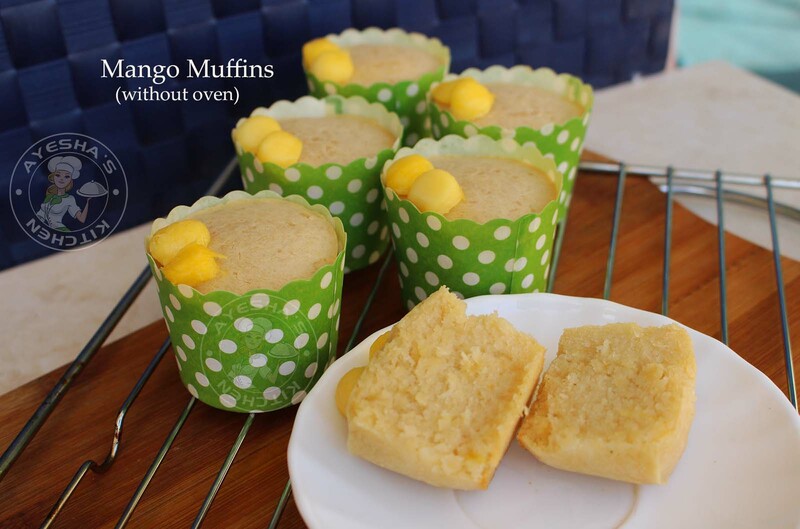 Mango is delicious on its own but it is heavenly delicious when added to any dishes. This superfruit is packed with vitamins, nutrients and a good source of fiber which makes this fruit a perfect food. I strongly believe that nothing is more satisfying than nourishing the heart and soul of your loved ones through food. Especially when it is for our kids, I really enjoy it to the fullest. 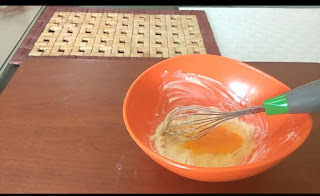 Sometimes simple recipes create magic, especially while baking cakes or cupcakes. My lil kid is very fond of cakes. The moment when we see them eating those cakes with love makes us proud. 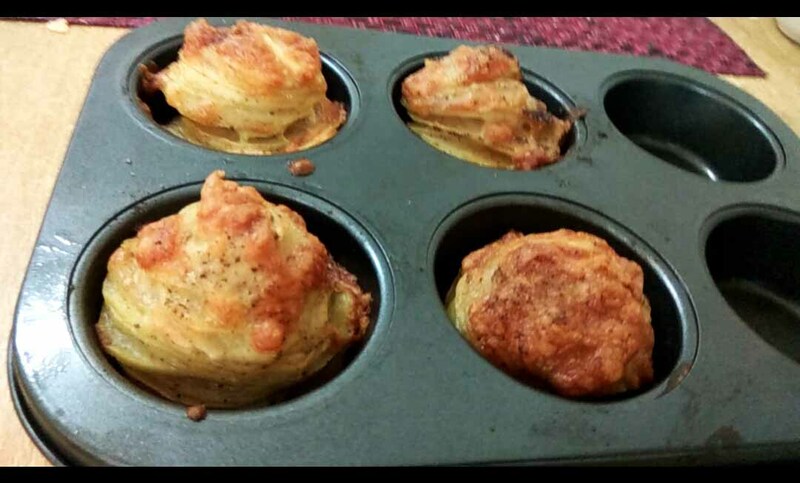 Hope you all give this muffin recipe a try for sure. So let us see how to make stove top cupcake / no oven muffins/ mango cupcake recipes/ moist mango muffins/ how to bake cupcake without oven/cake recipes for kids/cupcake recipe/mango muffin/ stovetop oven/stove top oven/ stove top recipes/oven stove top/stove top dessert recipes/easy mango recipes. 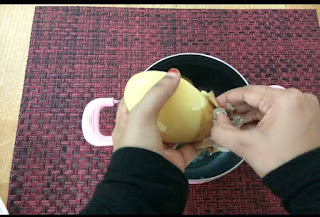 Keep the egg, butter, and milk at room temperature. This is an important baking rule that many of us ignore while baking. 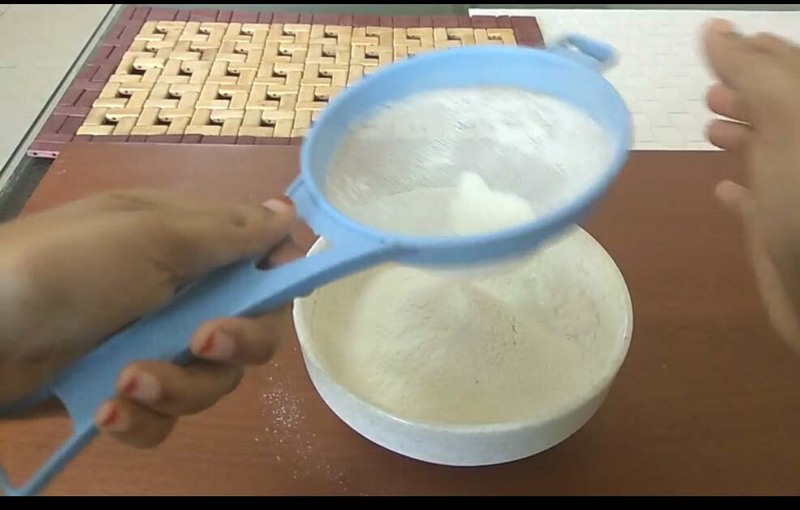 Sift together All purpose flour (maida), baking powder and salt. Set aside. 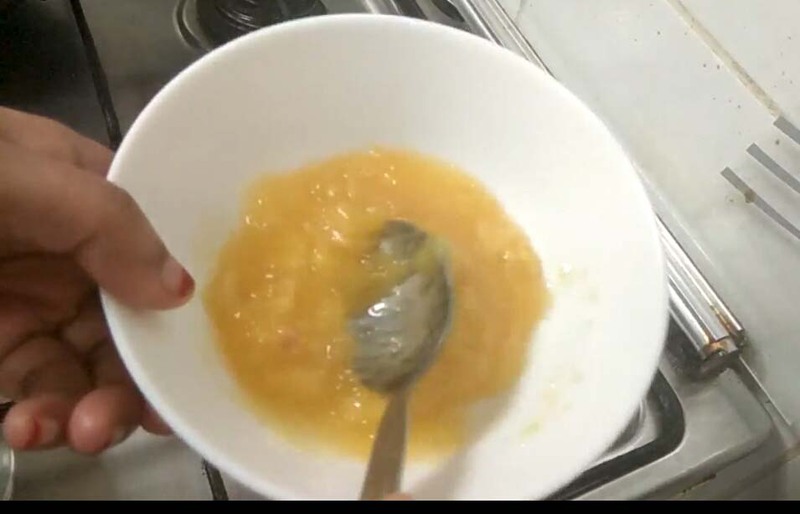 Heat chopped mangoes, lemon juice, and sugar in a pan. Cook over a medium-low flame for 6 - 8 minutes or until the sugar melts and mango turns mushy. Set aside this sweet mango mixture in a bowl. In a bowl, add the softened butter. Cream it well. When done add vanilla essence and prepared mango mixture. 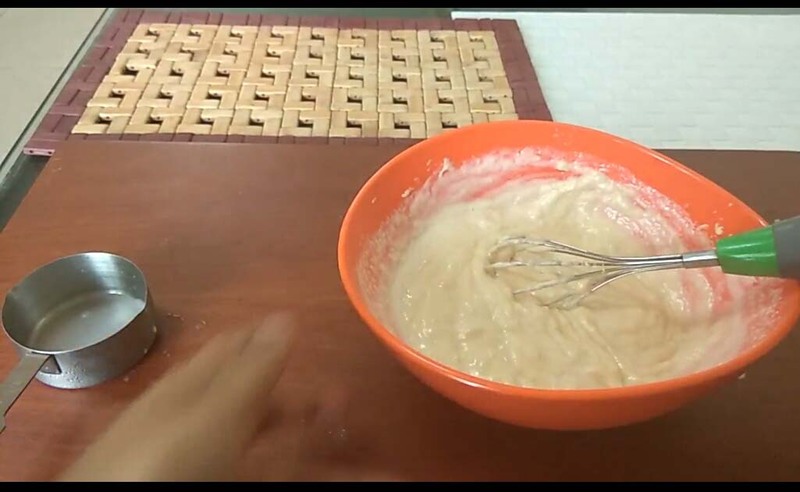 Combine well with a hand mixer. 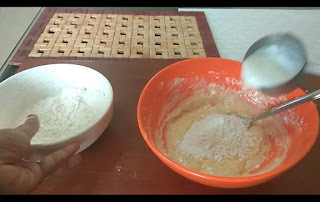 When done, add the sifted flour and milk alternately. Combine well. 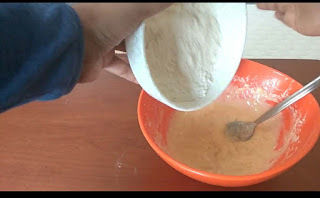 (Do not add the whole flour mixture at a time). Scoop this batter to each paper cup cakes. I used a medium-sized paper cupcakes and filled up to ¾ of the paper cups. 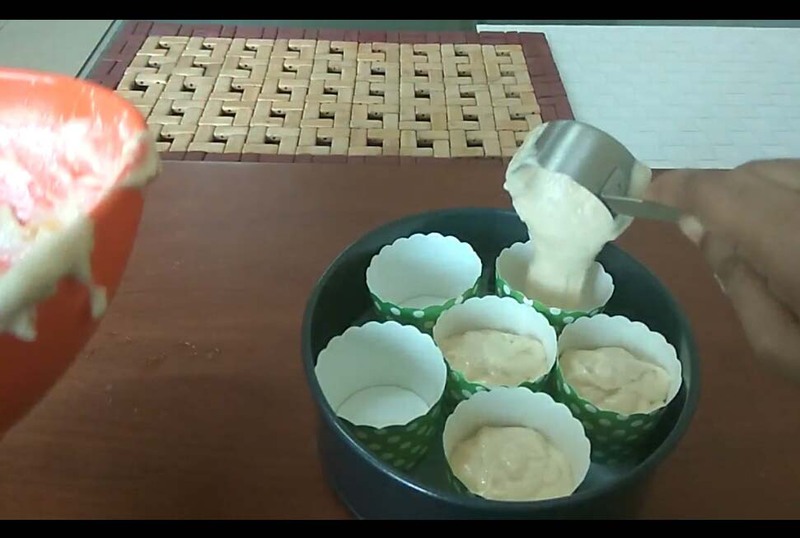 You can make 8 to 10 small cupcakes with this measurement. 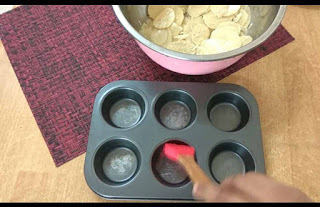 Heat a nonstick vessel or any vessel with a lid. Once hot, make the flame to medium. Do not make the flame too low. 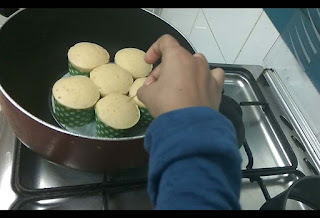 Keep a steel plate inside this vessel or as I did, place this prepared paper cups inside a springform cake pan. Keep it inside the preheated vessel. Cover immediately with a lid. Let it bake for 45 to 50 minutes or until a toothpick inserted comes out clean. The time depends on the size of paper cups used. So check occasionally. Once done, take the cupcakes out of the vessel and let it cool down for 10 minutes. You can also bake this cupcake in the oven at 180 degrees C for 25 to 30 minutes. When someone gives me some potatoes, I use them as a star ingredient for some outstanding snacks. No doubt. Yes, nothing is great than a spicy crispy snack to savor along with a nice cup of tea when you are bored and lazy at the end of a workday. The sight which we never tire of. Isn' t it? Especially in Indian cuisine, the use of herbs and spices create a lip-smacking flavor which makes Indian food such a heavenly delight. 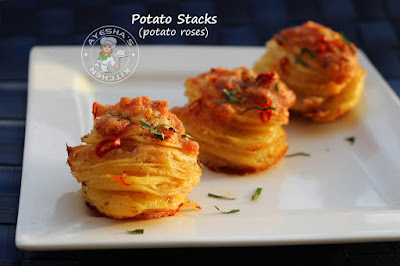 Potato snacks are my favorite snacks recipes which I love to experiment with. A versatile veggie which can be easily converted into a snack or a side dish or a main course. 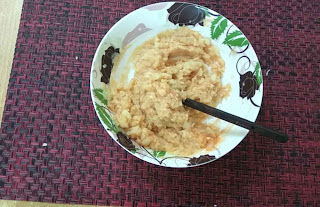 Healthy breakfast with potatoes like potato stew, mashed potato toast, chapati with potato garlic dip helps us to stay alerted till afternoon or a lunch meal. Lunch meals with potatoes fill me up easily. 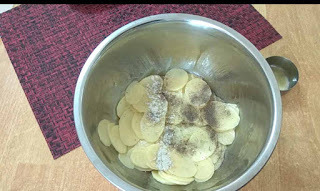 Here I come with an evening snack recipe with potatoes. 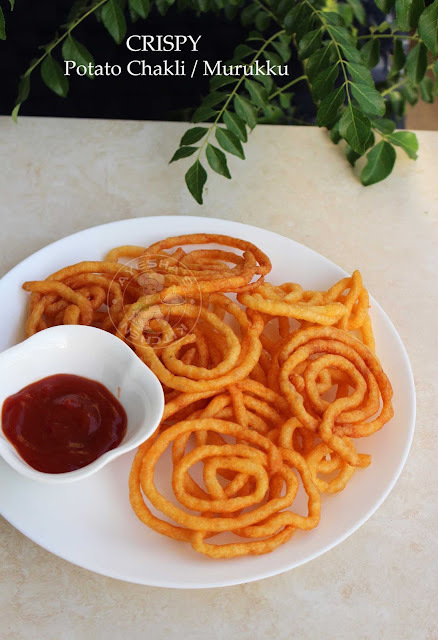 Potato Chakli / Potato murukku/ Crispy potato rings are little spicy, cheesy and crispy snack which tastes very close to store-bought potato chips. My kids are addicted to store-bought snack chips especially potato wafers, potato crisps, potato rings of various brands. They always need such snacks chips while hanging out in park or beach. So as a food blogger why can't I try such snacks at home? Yeah! 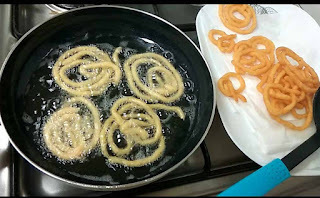 Potato Chakli / Potato murukku / crispy potato snack is a very tasty and crispy snack recipe which is very simple and easy to make. 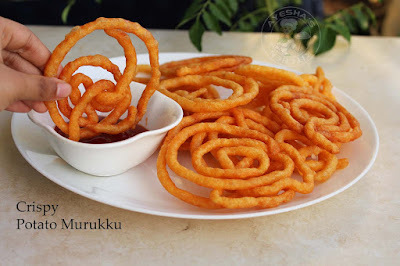 Murukku is a savory crunchy crispy snack which is originated in South India and is a popular snack for festivals like Diwali, Holi etc. As the main ingredient for preparing this potato chakli is potatoes, you can make them within minutes. This snack is also called as Aloo chakli / Aloo murukku / crispy potato jalebi like so. 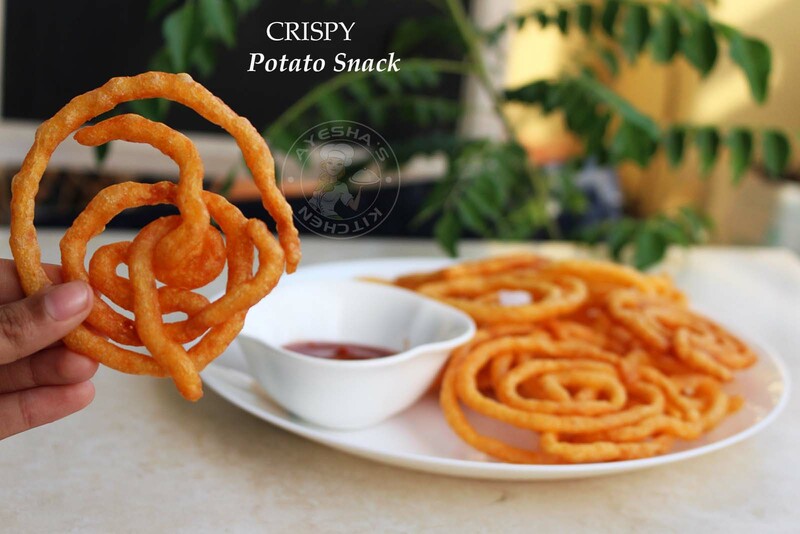 You can make this potato snack or potato murukku in various ways. Here I used grated potatoes for making this snack. 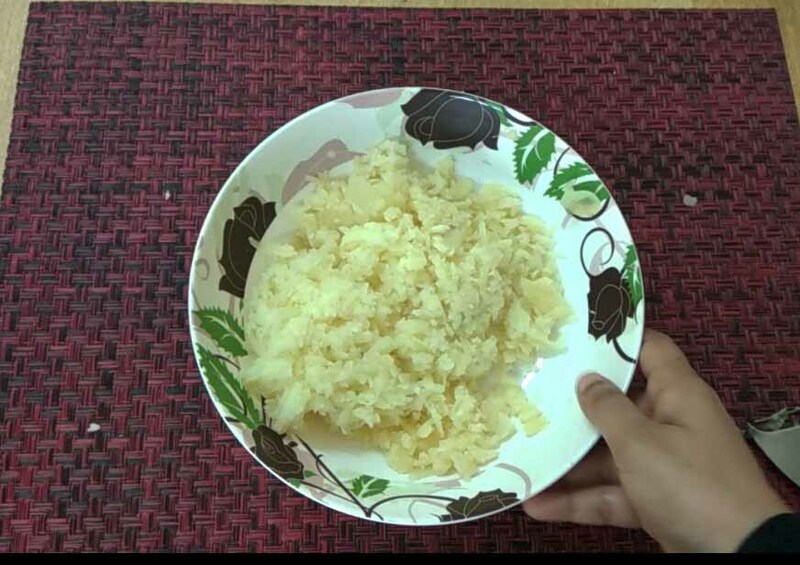 Some prefer making this snack with mashed or grinned potatoes and rice powder without any spices to make this crispy snack. 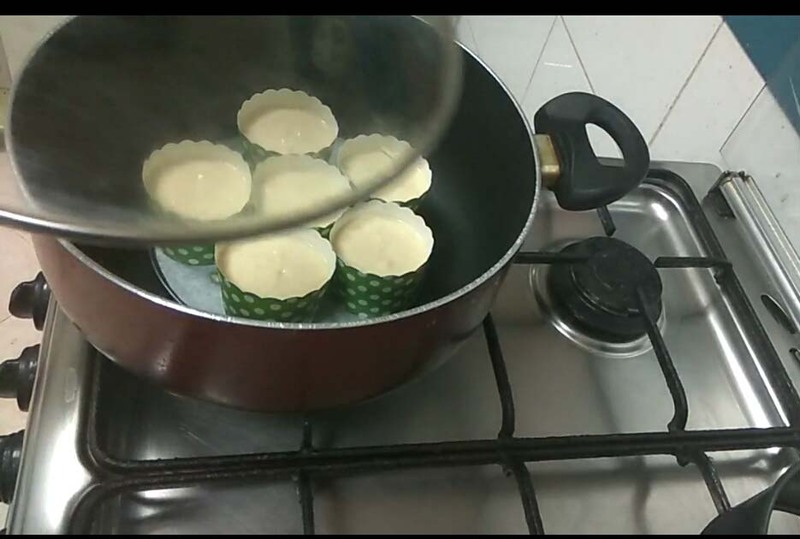 You don't need a murukku press or a murukku mould, instead, u can use a piping bag. 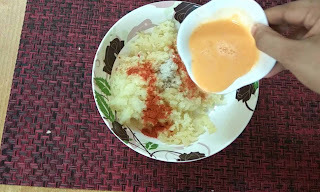 As an Indian, I love working with spices and so I added some chili powder, garlic powder along with some mozzarella cheese and beaten egg that makes this snack very special. As kids love everything cheesy, they will crave this snack more for sure. For those who care about health can skip the use of cheese in this recipe. So let's see how to make potato chakli/potato murukku at home. Here is the recipe showing how to make potato chakli/ potato murukku/ potato snack/ snack recipes with potatoes/ kids snacks/ murukku recipe/south indian recipes/chakli/chips snacks/easy snack recipes/chips food/alu chips/cheap snacks/ fun snacks for kids. 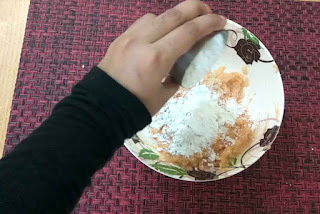 To this add chili powder, garlic powder, salt (add very less), beaten egg, shredded mozzarella cheese and combine very well with a spoon. Now add cornflour to this mixture and mix well with hands to form a sticky dough. 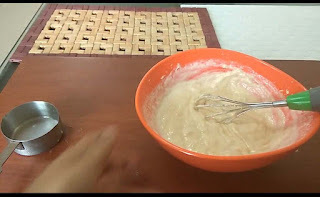 Fill this mixture into a piping bag and let it keep refrigerated for 15 minutes (preferably) or can use directly.